Planning a short or long trip? Here's a quick tip to help keep your suitcase better organized. 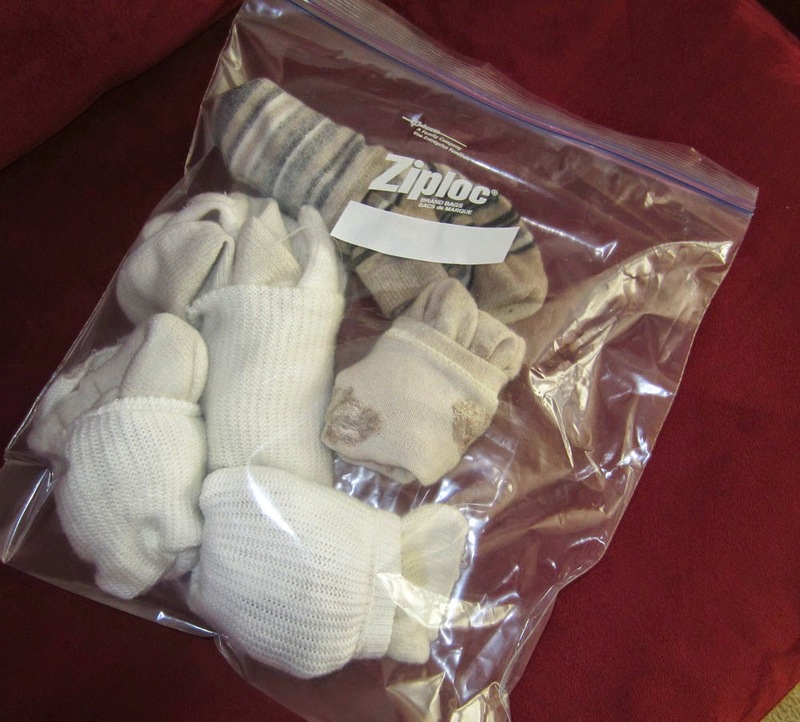 Place your underwear, socks, scarves into large ziploc bags, one for each type of clothing. (I found two gallon-sized bags at a local box store, and these work well). Putting all of your socks in one bag and so on allows you to easily toss the bag into a drawer when you unpack or keep things neater when you have to live out of that suitcase for a while. Also, with a quick glance, you can tell whether you have enough clean things to last the trip or if you have to drag out the Woolite or other soap you brought to rinse things out with. (Note: I have had a lot of trouble keeping Woolite inside the small plastic jar I use to transport it in my suitcase. I am not sure why, but it always leaks. I put the jar inside a couple of ziploc bags but it still leaked inside them. Could have been a disaster, really. I know there are other products out there for hotel room laundry day so I might have to do some research).